PIHMS has been operating since 1995 and has built a strong track record of success and achievement.It is located within New Zealand which is considered one of the safest and most secure countries in the world. The New Zealand exchange rate makes the PIHMS fee structure one of the most competitive and highest value for money in education around the world. 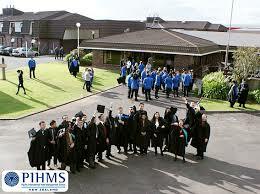 PIHMS is an officially registered education and training institution by the New Zealand Government.